Earth|What’s the buzz at FRINGE WORLD? What’s the buzz at FRINGE WORLD? 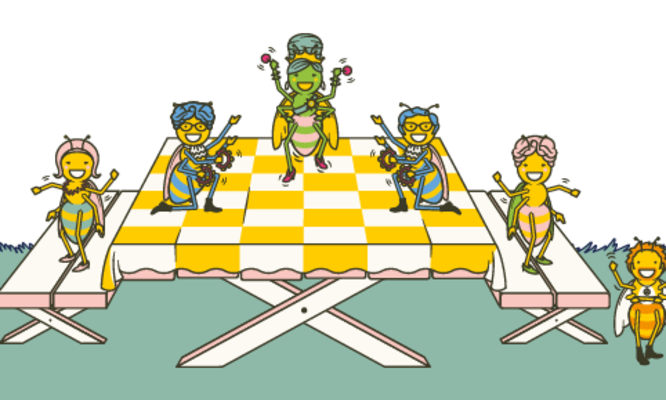 With the 2019 FRINGE WORLD now upon us, you may have noticed some super cute bee mascots in the program this year. We asked FRINGE WORLD Festival Marketing Director Jo Hos where the bee theme came from. “In the development of the 2019 brand, we were discussing the key themes and values of FRINGE WORLD,” Jo says. In exploring ideas on how to work wildlife into the brand, the FRINGE WORLD hive mind came up with the concept of bees at a backyard party. But bees aren’t limited to the front cover of the program. Within its pages are activities for everyone from kids to queens, and they promise to change how you think about the humble buzzing bee. We tracked down one performer, Bee Babette, to ask her why native bees are so important. 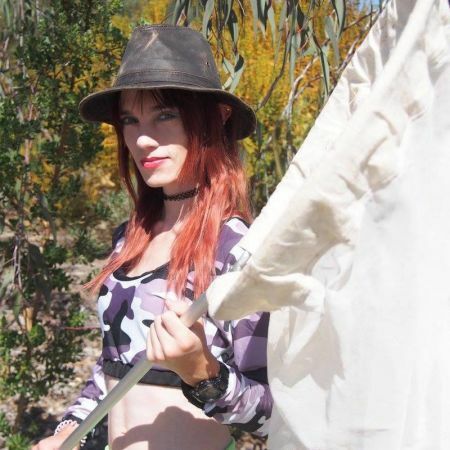 Bee Babette is the stage persona of Kit Prendergast—a native bee scientist, conservation biologist, zoologist and PhD student at Curtin University. Kit says there are around 2000 native bees in Australia, with many undescribed. 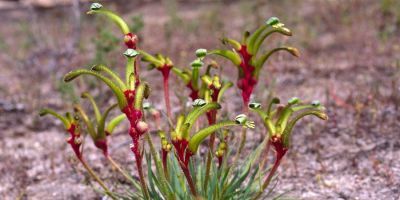 New species are continually being discovered, and they play key roles in the Australian environment. Kit warns that there is an urgent need to increase our knowledge of Australian native bees. The transformation of natural habitats into urban areas as well as the impacts of agriculture have seen bee populations come under threat. 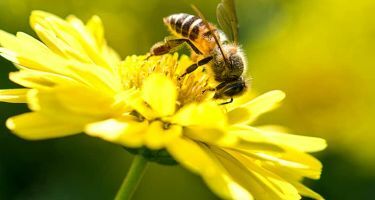 Whilst this news has featured in many a sensationalist headline, there are layers to the bee population problem that we are just starting to understand. Kit explains that introduced honey bees (those from the headlines) are actually very different in lifestyle and ecology to Australian native bees. While the media has reported that bee numbers are in rapid decline, this is in fact a myth. But are Aussie bees more endangered? Kit says honey bees aren’t the ones that are threatened—it’s the native bees that are in trouble. “So, we really need to focus on learning about and conserving them. “To conserve native bees, a key strategy is planting and preserving native wildflowers,” Kit says. If there is limited food but an abundance of honey bees, this can lead to honey bees outcompeting native bees. However, if honey bees are at low abundances and there are enough native flowers to go around, honey bees are unlikely to have a negative impact on native bees. 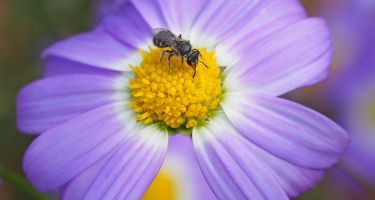 “They may even help native bees if they enhance pollination of flowering plants native bees rely on or reduce predation pressure,” she says. 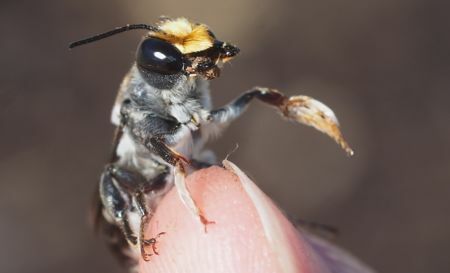 Kit’s FRINGE WORLD events dive deep into the complex, beautiful world of native bees—and she’s not alone in her endeavours. Bee Babette has a native bee photographic exhibition up in the Woodside Pleasure Garden throughout FRINGE WORLD. She’s also doing a guided tour on 9 February so you can pick up some sweet factoids and marvel at the wonders of our native bee. 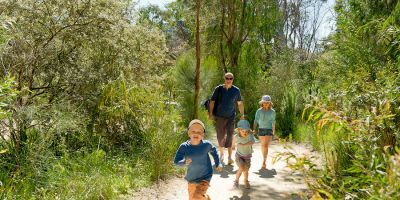 Additionally, there’s the chance for kids to get their craft on and make a whole new species of insect at the WA Museum! And finally, BEE YOURSELF and dance around Northbridge and Fremantle to the theme of BUZZY BEATS with Guru Dudu and his Village People who have teamed up with WA Museum. Grab some headphones and listen to the hilarious commentary and the dance mix of uplifting favourites from the 70s, 80s, 90s and 00s. Read more about STEM initiatives at FRINGE WORLD 2019 here. Exploring plastic waste with … a circus? This circus show isn’t clowning around when it comes to plastic pollution. Gorillas have a bone down there. Chimps have them too. But the humble Homo sapiens? Nuh uh.